At the root of Traditional Chinese Medicine is the belief that the individual (microcosm) is viewed as an integral part of the forces of nature (macrocosm). By careful observation of nature, Taoist sages were able to perceive patterns common to boththe external environment and the internal climate of the human body. Over a period of thousands of years, the cumulative observations of sages all over China led to an intricate system of diagnosis and healing. Traditional Chinese remedies have been used for over 4 centuries and have more than withstood the tests of time. 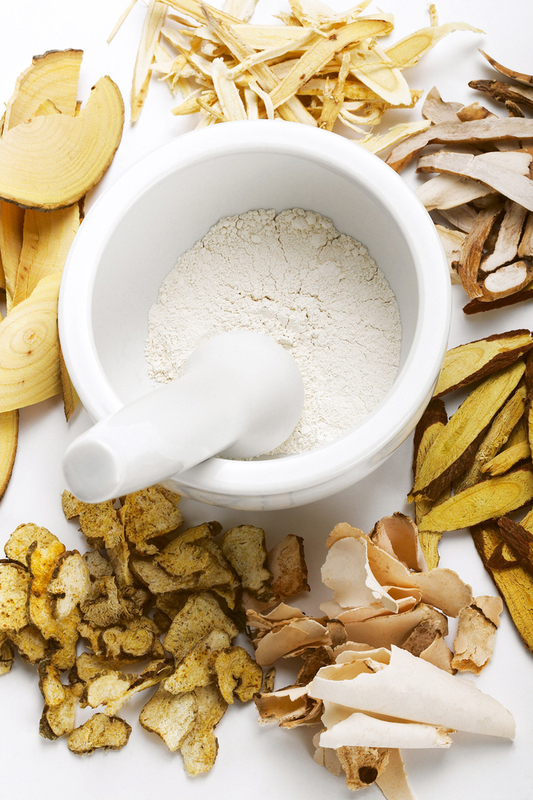 TCM draws on ancient practices – herbal medicine is after all, as old as humanity itself. Early human beings were hunter-gatherers whose survival depended on their knowledge of their environment. Direct experience taught them which plants were toxic, which ones imparted strength and sustained life, and which had special healing qualities. 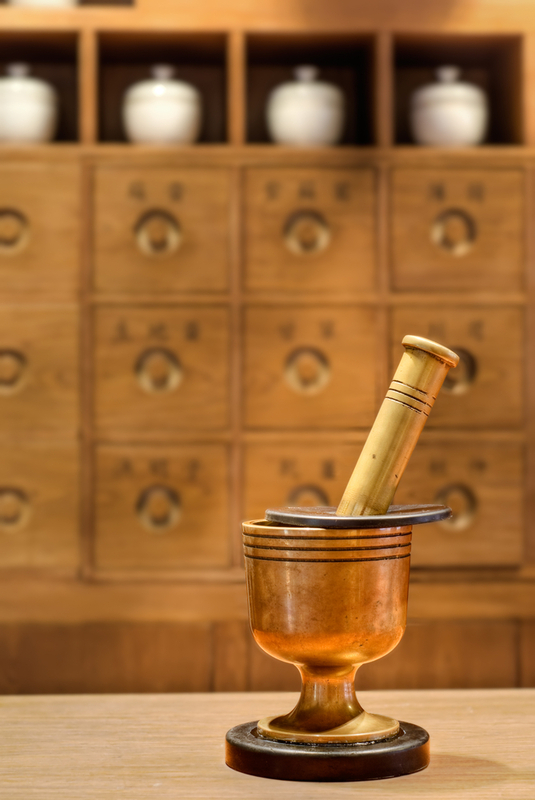 These early discoveries were passed along until thousands of years and millions of human trials brought about the evolution of an incredibly sophisticated system of diagnosis and herbal medicine. Thousands of medicinal substances are used in China today. Indeed, more than a million tons of herbs are used each year in China. Thirty herbs, mostly tonics, account for more than 50 percent of this figure, with licorice topping the list at 86,000 tons. This information may seem astonishing to the minds of Westerners, who see herbal medicine as a new development in healing. From a practical perspective, however, a fairly complete pharmacy stocks about 450 different individual herbs. From this collection of herbs, a clinical herbalist employs more than 250 standard formulas, each of which can be modified to fit a patient’s individual pattern of disharmony. The herbalist or practitioner combines herbs based on the diagnosis, using a traditional herbal formula as a foundation and adding other herbs specific to the individual’s complaint and constitution. As the person’s health improves, the nature of the imbalance changes, so the herbal formula must therefore also change. Some herbs are then omitted, while others more appropriate to the changing condition are then added. These Traditional Chinese herbal recipes are designed to perform a variety of functions specific to the imbalances of the patient – it can be designed to harmonise, tonify, expel pathogens, improve blood circulation, reduce excesses, stimulate organ function, detoxify, drain excess fluid (edema), improve digestion, open the lungs, reduce pain, nourish the blood, balance hormone function, improve energy and calm the mind. It is used to treat an enormous variety of conditions linked with every system in the human body and is often combined with Acupuncture treatment for a stronger therapeutic effect. Visit Dr Lulu Beyers at The White Lotus Wellness Centre in Kloof street, for a full assessment.